The unfortunate reality about the entire “Diablo clone” genre is that it’s impossible to make a top-down perspective, loot-heavy, narrative-light game without having your game compared to Diablo. It’s right there in the genre title. 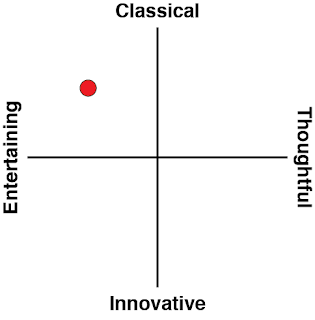 Most games – in fact, almost all games, do not come out of those comparisons well. Most games in this genre try to differentiate themselves by at least presenting a different setting to play in. After all, Diablo’s grim, gothic horror aesthetic isn’t for everyone. And on this count Victor Vran impresses me right from the outset; it has the audacity to be a Diablo clone with a gothic horror atmosphere. 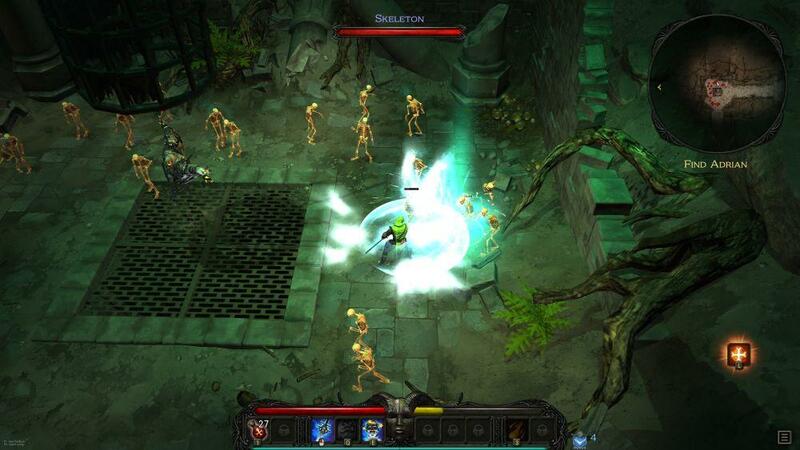 It invites a direct comparison to Diablo from its very first seconds. That takes some serious cajones. It doesn’t play quite as well as Diablo games, but we’ll get to that in a moment, because what is really important about Victor Vran is how it does differentiate itself from its impossibly mighty cousin; Victor Vran has humour. Real, genuine, clever humour. What’s brilliant about it is, unlike other nonsense attempts to do humour, Victor Vran is funny without the jokes being forced. It starts when Victor talks to himself. Throughout the adventure, the man carries on an internal monologue, in which he describes what’s going on around him, and his thoughts on various events he witnesses and people he experiences along the way. This dialogue is delivered in such a deadpan gravelly tone – by the same voice actor as Geralt from The Witcher himself (Doug Cockle) – that it’s all just a little too earnest, and in turn comes across as delightfully dry. 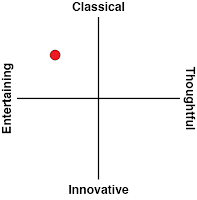 This is especially when set against the flamboyance and often fourth-wall breaking second commentator that chatters with you in a manner that’s quite unhinged. The dynamic between these two different commentaries always has the potential to be too much – to detract from the core gameplay experience, but it never quite gets there. I quickly found myself looking forward to every new area, because it would also mean some more “narrative”; puns and all. The actual story is as simple and thin as you’d expect from the genre; a city has been overrun by the endlessly spawning horrors from the otherworld, and the promise of reward and adventure attracts a steady number of monster hunters to visit and help out those few remaining (living) souls, defiantly eking out a miserable existence in the ruins. 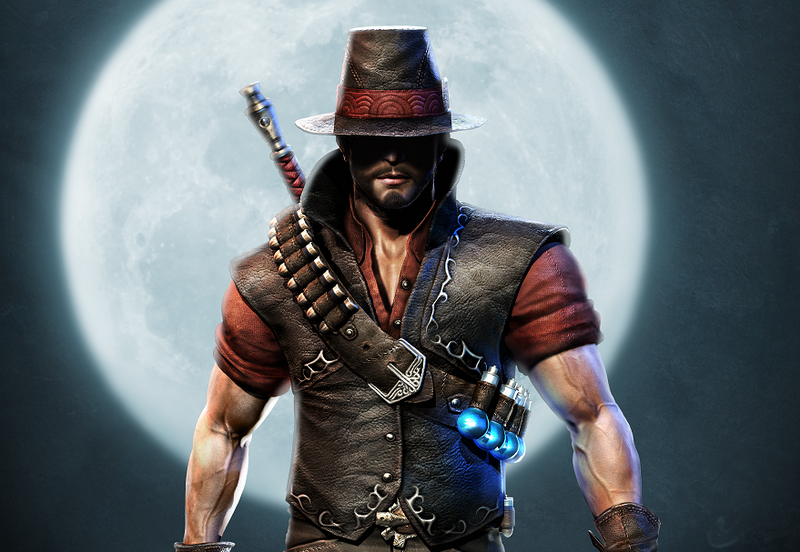 Victor Vran himself being the gruff type, isn’t there for altruistic reasons; he’s following a buddy that’s gone missing in town. This set-up is really there to simply drive Victor through a wide range of different decrepit environments, battling the standard range of enemies from spiders through to the undead and demons, and slowly increasing his own wealth and power as he goes along. As fans of the genre will attest, the loot grind is critical to a game like this, and Victor Vran does a good job of inundating you with new shiny items at a cracking pace. So much so, in fact, that the game’s inventory system struggles to keep up, and becomes cumbersome quickly. It’s a minor complaint but it could have been cleaner. 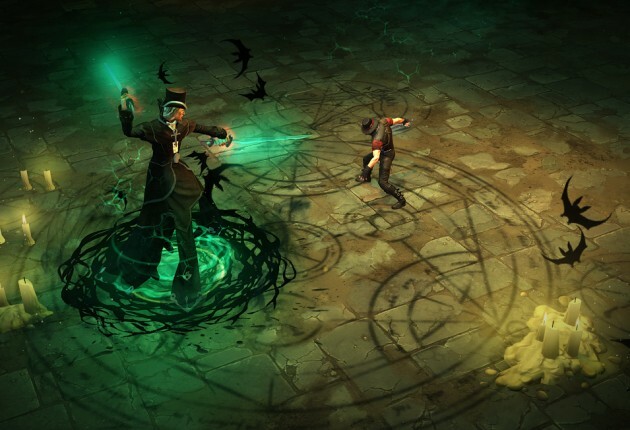 Anyone who has played a Diablo clone in the past knows what to expect from Victor Vran, and for the most part they won’t be disappointed. Large hordes of enemies will swam Victor, and he’ll need to use a combination of basic and special attacks to mow them down. Individually none of these enemies are something to be concerned about, but in groups they can really catch a player unawares – especially when the mobs include ranged attackers or major, named enemies, which can hit hard if you’re too busy focused on the masses. Combat has a nice weight behind it at all times, and special attacks look visually impressive, so this minute-to-minute combat feels good. In other areas, the gameplay loops are a little too unrefined for their own good. Victor can carry two weapons into battle, and has both ranged and melee to choose between. Unfortunately, switching between these while in the middle of a mob is too slow and cumbersome, so I found it generally easier to rely on a single weapon. There’s also a real focus on finding hidden secrets and the like, but the level design is generally quite lazy and those secrets are hidden in a way that throws right back to the days where you’d run and jump at, and attack, every bit of wall looking for something to give in. Each area has a number of optional objectives set at the player too, which can range from “kill enemies using only a shotgun,” to smashing pots, or not taking damage from attacks. You don’t need to complete them to move through to the next level, but if you’re looking for 100 per cent completion than these objectives will generally have you replaying levels a few times. It’s pure padding, and I can’t stand this approach to design; forcing arbitrary objectives on players that have nothing to do with the in-game world, simply for the sake of getting that playtime counter up, is cheap, immersion breaking, and uninspired. 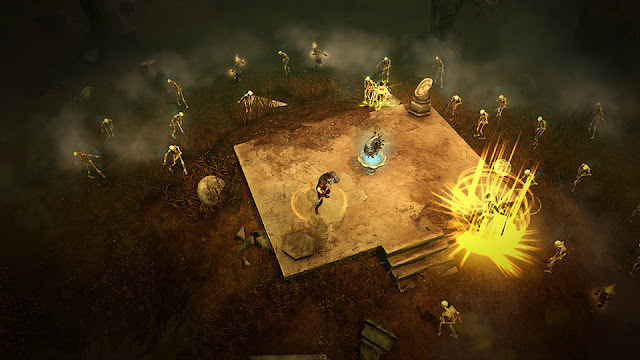 But then, Victor Vran is a cut-price Diablo clone that has a really delightful sense of humour, superb production values, and genuinely entertaining gameplay. I don’t think that decades from now people will still be discovering the game and remembering it as a classic, but when it’s a rainy weekend and you want to blaze through something entertaining and meaningless, then this here is the perfect remedy.